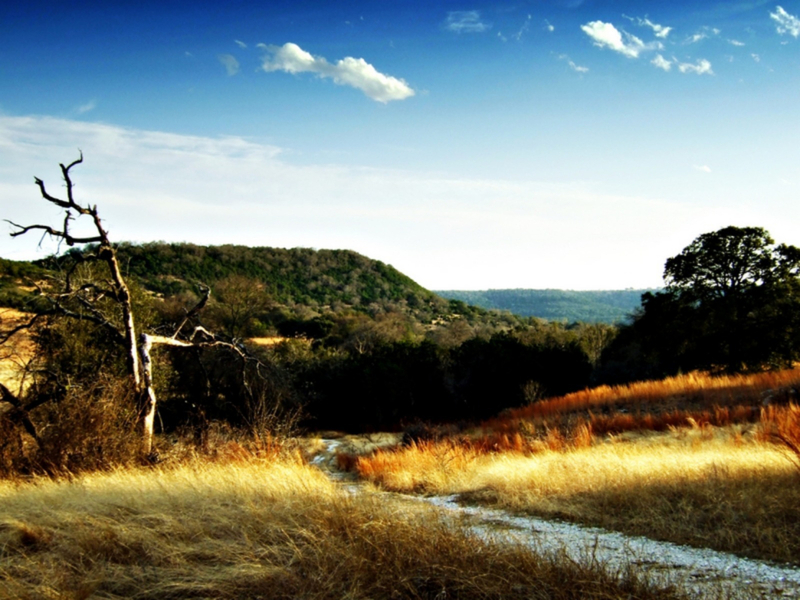 Balcones Canyonlands National Wildlife Refuge is located northwest of Austin, Texas. The refuge is a joint effort formed between many local land management agencies to protect habitat for endangered songbirds and other wildlife species unique to central Texas. With its limestone hills, spring-fed canyons, plethora of wildflowers, and 7 miles of trails, the refuge is the perfect location for a fun day hike whether solo or with family. 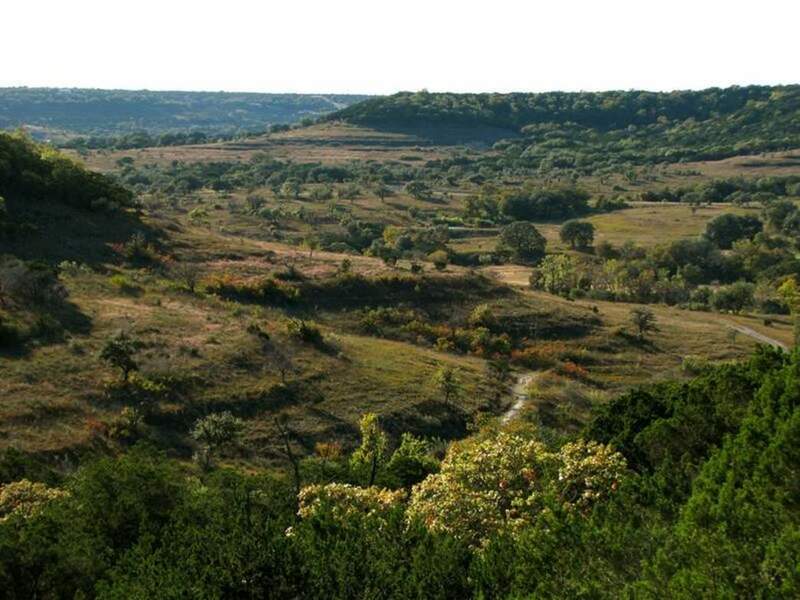 The landscape is mostly rolling hills and grasslands spotted with oaks, elms, and Ashe juniper trees stereotypical of the Texas Hill Country, giving visitors a good look at what this region was like before urbanization. The refuge is home to 245 bird species, and in the spring and summer, one can witness the awe-inspiring wildflower gardens that attract both butterflies and 37 kinds of dragonflies. Rugged terrain, wetlands, deserts, and prairies are all examples of what one will encounter while hiking the refuge. There are two main trail locations: Warbler Vista just outside of Lago Vista (off of FM 1431) and Doeskin Ranch which is farther northwest (off of RR 1174). Warbler Vista has three trails that will take you through limestone and eventually to the Sunset Deck where one can enjoy panoramic views of the hill country and Lake Travis. Stone markers along the way point out specific plants and species. The Cactus Rocks Trail is relatively even with plenty of cover. You’ll find rockier terrain along the Vista Knoll trail but the extra effort is worth the view near the southern-most point. Doeskin Ranch has five trails that are broken up into loops that can easily be hiked in succession for one long route. Take the Rimrock trail and cross the stream half a mile in via stepping stones. Make sure to keep your eyes open for the bat boxes and small waterfall on the other side. This trail is a moderate hike, but the switchbacks ease the ascent. This might be considered the most challenging trail at Doeskin, but the scenic views are worth with extra effort. Trek the even more secluded Indiangrass trail to extend your hike another 1.5 miles. There’s something for every level of trail enthusiast at the Refuge. The more experienced hiker will surely enjoy the more challenging, mountain-reminiscent switchbacks of the Rimrock trail at Doeskin Ranch. However, this is certainly not too difficult for less experienced hiker looking for a day hike with a little more work. The Ridgeline Trail is the most technical hike of the three trails at Warbler Vista and would also be a good options for those looking for something with a bit more grit. Families have a few options at the refuge as well. The Cactus Rocks Trail at Warbler and the Creek, Pond and Prairie trails are good options for those looking for an easier hike with comparable views. Head toward Lago Vista, northwest of Austin. The refuge headquarters is located on FM 1431 approximately five miles west of Lago Vista. Closer to Lago Vista, you’ll see a fork in the road with a sign indicating Warbler Vista along a dirt road. Take this path to find parking for the Cactus Rocks Trailhead further up the road to the right. If you’re coming from the south, the entrance to Doeskin Ranch is located 1.5 miles north of the intersection of RR 1174 and Cow Creek Rd. If you’re coming from the north, it’s located 2.3 miles south of the intersection of RR 1174 and RR 1869. Parking and entrance is free. The headquarters are open from 8:00am to 4:30pm Monday through Friday with the exception of federal holidays. The refuge is open from sunrise to sunset. Dogs and horses are not permitted.